SCASBO extends congratulations to Dr. Fay Sprouse on becoming the first district superintendent to be awarded the Certified School Business Official designation. As superintendent of Greenwood 51, Dr. Sprouse saw the value of learning the ends and outs of being a school business official. Dr. Sprouse stated, “Completing the certification was a great learning experience for me. 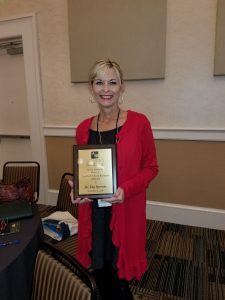 I believe superintendents need to be well-versed in business operations in order to lead efficient learning organizations.” The areas she learned a deeper understanding included financial reporting and auditing; budgeting, internal controls, and financial management; and capital and debt planning and strategic planning.